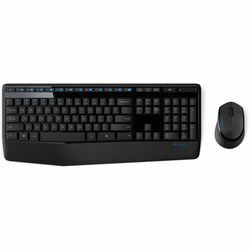 Enjoy an awesome 3-year keyboard and 18-month mouse battery life, provided by our energy efficient engineering. 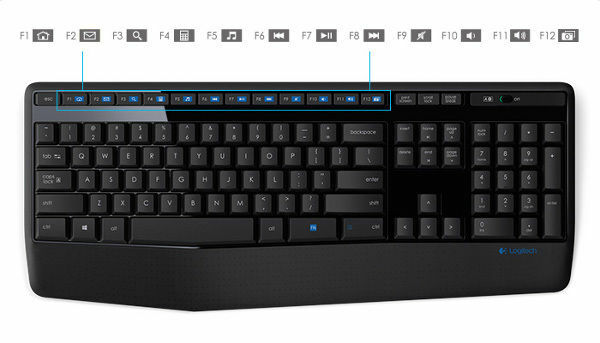 Increase your productivityType on a full-size layout with 12 enhanced F-keys for media control. 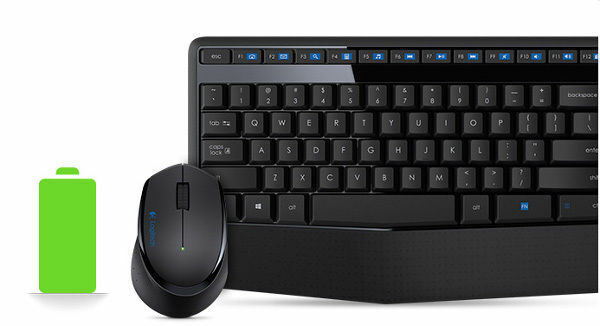 Skip a song, pause a video or mute audio instantly Extra-long battery lifeEnjoy an awesome 3-year keyboard and 18-month mouse battery life, provided by our energy efficient engineering.